Holiday Cottages in Scotland. 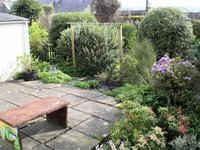 View details for Gilhooly Wattle in Garlieston, Dumfries and Galloway. Provided by Holidaycottages.cc. 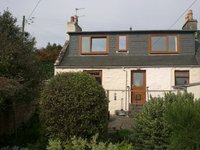 This charming cottage is situated about 200 yards from the sea, in a quiet road in the fishing village of Garlieston, south of Wigtown in the Machars region of Dumfries and Galloway. A short walk from the door takes you to the seafront and the beauty of Garlieston Bay. The accommodation comprises sitting room with TV and video, dining room with TV, well equipped kitchen with washing machine and drier. Upstairs there are 2 double bedrooms (1 with en suite toilet and washbasin). Outside there is a good sized garden which is dog proof and a garden house with outdoor furniture. Local village shop and pub nearby. Near Wigtown - the Scottish "Book Town"